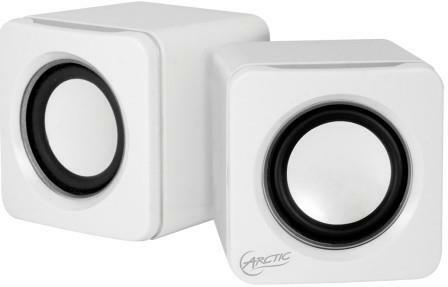 The Latest Arctic S111 BT Mobile Bluetooth Sound-System with the rechargeable 2000 mAh, lithium polymer battery brings up to 12 hours playback time, this handsome looking device is ideal when you want to share some music or very deep rich sounds from your Bluetooth compatible devices such as your laptop , mobile phones and even smartphone, the latest Bluetooth Version 4.0 was developed to make pairing of devices a breeze and all that much easier that doesn't require any brainpower. 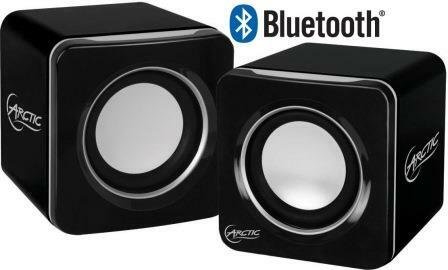 •Up to Date - Bluetooth 4.0 for lossless audio streaming of MP3 and AAC. 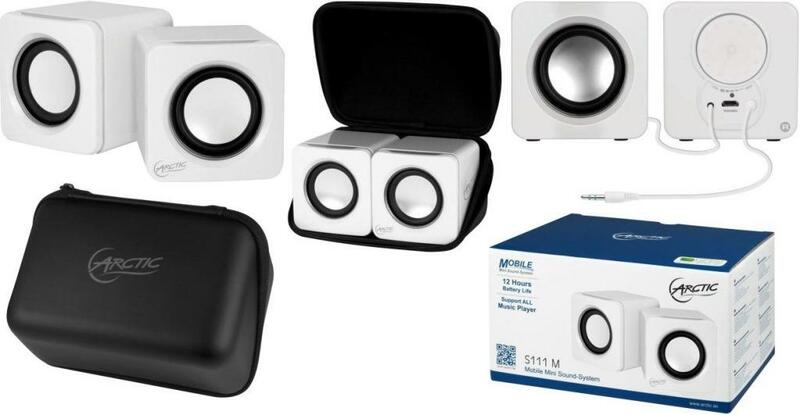 •Portable - The rechargeable 2000 mAh lithium polymer battery brings up to 12 hours playback time, everywhere! •Protected - Hard case included. 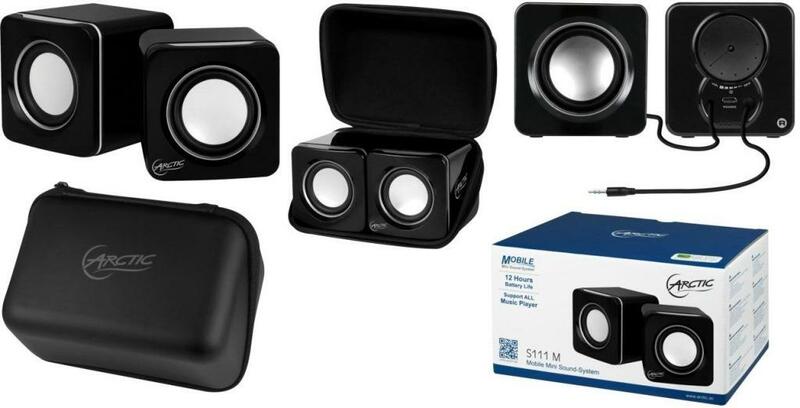 •Enjoyable Sound - The unexpected powerful sound not only beats your laptop, smartphone or tablet speakers. 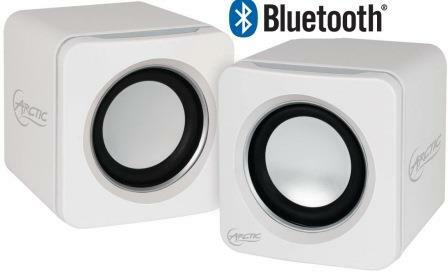 •Compatible - Great compatibility to all Bluetooth devices such as smartphones, tablets and laptops. 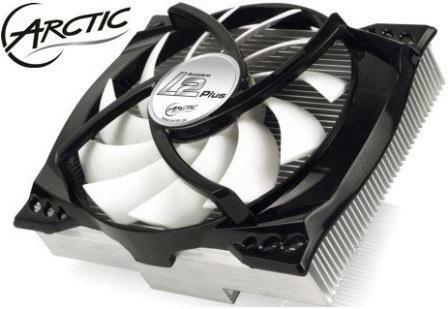 The Arctic Accelero S1 PLUS may be the best performing passive VGA cooler on the planet. 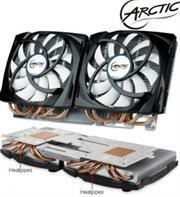 It is a must-have cooler to keep your precious graphics card cool and stable. This VGA cooler is greatly compatible with GTX 650 Ti, and GT 640 graphics card models and delivers passive cooling performance remarkably. 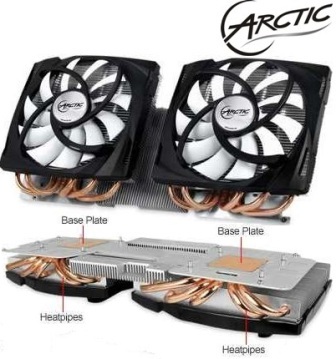 Its RAM and VR heat sink set and flexible mounting plate design offers utmost flexibility. 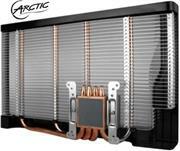 This cooler is also noise-free as it operates so you greatly rely on an optimal cooling performance with minimum noise level. • Absolute Silence: As a passive cooler, the Accelero S1 PLUS is noise-free while keeping the graphic card working at normal temperature! It helps to cool your graphic card without any disturbance to your work or entertainment. • Wide Compatibility:-Due to its RAM and VR heat sink set and flexible mounting plate design, the Accelero S1 PLUS is compatible with over 80 different models of midrange to high-end graphic cards. The compatibility list is based on AMD Radeon and NVIDIA's reference board layout only. ARCTIC holds no responsibility for incompatibility on non standard cards. Please check the height restriction drawing before purchase. • Efficient Passive Cooling:-Thanks to the passive cooling technology, the Accelero S1 PLUS allows more air to pass through the fins than any other passive coolers. The heat from the VGA card can be efficiently dispersed. 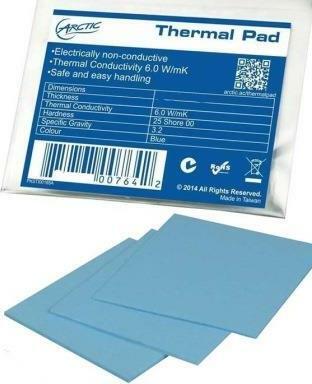 • Enhanced VR Heat Dissipation:-Compared to thermal tapes, the thermal glue G-1 included with this cooler significantly improves the efficiency of heat conduction from the RAM and VR to the heat sinks. It secures the heat sinks while enabling subsequent removal residue-free. * S1 PLUS Turbo Module is required for sufficient cooling capacity on the following VGA cards. 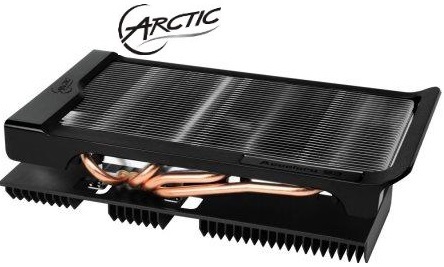 The Arctic Accelero L2 PLUS is a cross compatible VGA cooler designed for low end to mid-range graphic cards, with a wider compatibility and enhanced RAM and VR cooling. 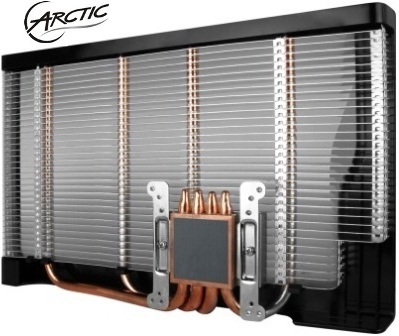 A comprehensive RAM/VR cooling set is also included to improve the cooling performance of RAM/VR. 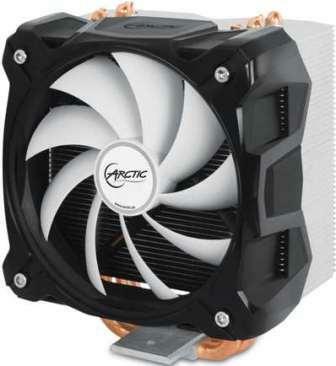 Featuring a 92 mm PWM fan and a cooling capacity of 120 Watts, the Accelero L2 PLUS ensures components are performing under ideal temperature. The pre-applied MX-4 thermal compound allows enhanced thermal conductivity from the GPU, thus considerably extending its service life. In order to boost the cooling efficiency of RAM and VR, the Accelero L2 PLUS comes with the G-1, an electrically non-conductive thermal glue used to affix RAM and VR heat sinks on the VGA board. Unlike generic thermal tapes, the G-1 offers high thermal conductivity with excellent adhesiveness. Moreover, removing the G-1 is extremely easy without leaving any residues. 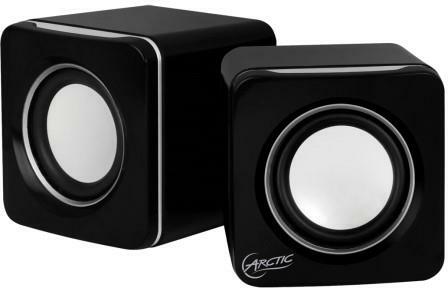 Operated by a low noise impeller enclosed in a patented fan holder to reduce the buzzing sound when the fan is spinning, the Arctic Accelero L2 PLUS is barely audible even running at full load. To enable minimum noise level at all circumstances, the PWM controller enables the fan to run at the optimal speed according to the load generated by the GPU.